Angle sensor | NIPPON SEIKI CO.,LTD. reliability because there is no contact sensing. 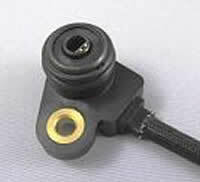 Suitable for all uses, especially when detecting throttle position and angle of the shift drum. This can detect an absolute angle. This can also detect an absolute angle.